Today's little offering is one you may have seen at the October workshop, for those who were there, I had a few lovely comments, so thank you for that. 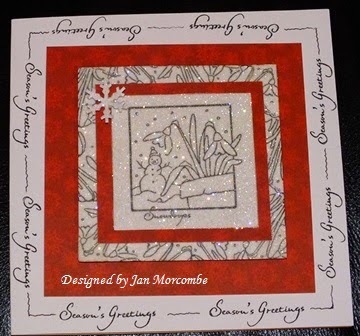 I used a 6 x 6 card and stamped around the edge using Memento Tuxedo Black and the Seasons Greetings stamp from the Woodware Clear Magic Range BD23 2DE, Winters Tale, (at the time of posting sorry to say that this item was out of stock) leaving enough space between each stamp to draw a squiggly line. 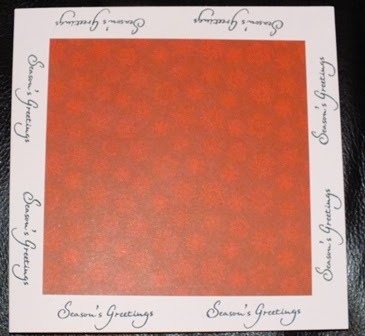 I then flat matted a piece of the Hobby House Snowflake Flurry - Red Cascading card inside the stamping. 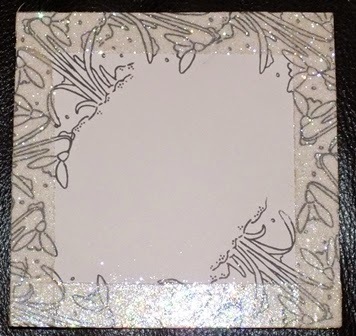 Then cut a smaller square and stamped around the edge with the snowdrop stamp from the same set before using double sided tape around all four sides and burnishing with Glamour Dust, which I think Lisa has in the shop sometimes. Then matted up another piece of the red card before adding the last layer which was stamped using the Snowman and Snowdrop stamp, again from the same set, covered with some double sided adhesive sheet and burnishing in the glamour dust. Finished off with a punched snowflake. 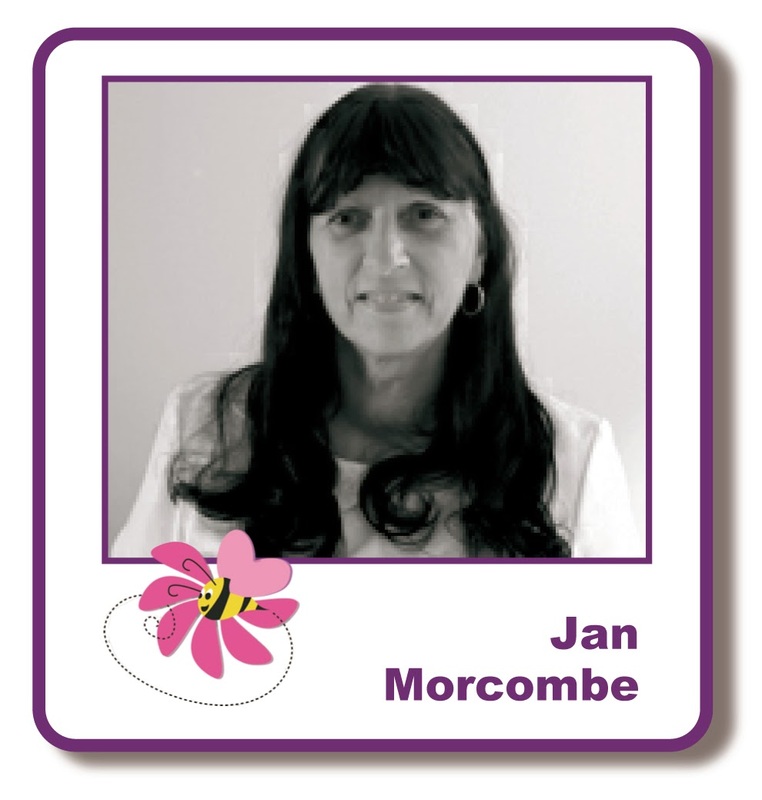 Lots of layers and lots of burnishing but still a simple card :o) I had fun making it, hope you do too. Very pretty. Thank you for the clear instructions. Very pretty. Thank you for the clear instructions. Forgot about glamour dust. A beautiful card. Love all the sparkle. Very festive. I like this one. Pity the stamps are out of stock!! !